The 23-year-old is expected to become a free agent when his contract expires in six months' time and this has spread speculation that Les Parisiens may offload him in January rather than losing him on a Bosman. According to L'Equipe, the Reds have started their dialogue with the player's representative regarding a winter move and they are optimistic that they can win the race ahead of other European rivals. Barcelona were widely considered as the frontrunners to sign the Frenchman last week but the Spanish side have since revealed that they have not stuck any agreement for the midfielder. 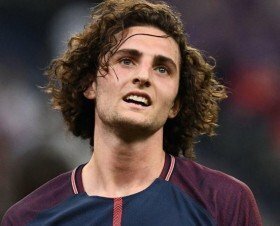 Still, the Catalan giants may have the advantage in the player's pursuit, given Rabiot is said to have a particular preference of playing for the Spanish champions since his boyhood days.